It was incredibly uplifting and entertaining to watch these extraordinarily talented kids from all around the country perform at Walt Disney Concert Hall. Led by Thomas Wilkins and Gustavo Dudamel, the orchestra performed works ranging from Berlioz to Bernstein. The National Take a Stand Festival is an unprecedented initiative to create a unified national platform for El Sistema-inspired and aligned programs throughout the United States. 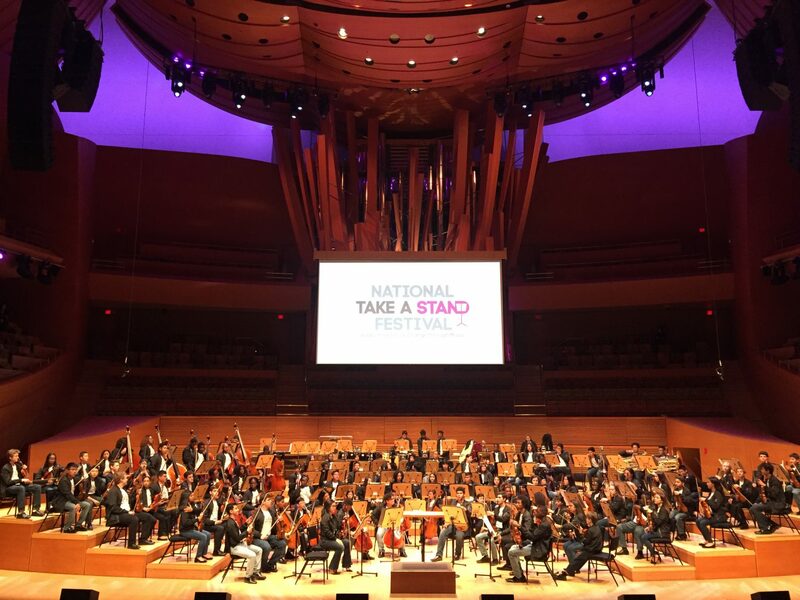 The three-year project began with a teacher training and pilot program in 2015, continued with two regional youth orchestra camps in 2016, and culminated in a 7-day national youth orchestra camp featuring a final performance led by LA Phil Music Director Gustavo Dudamel. Students had access to top artistic and educational resources and experienced some of the world’s finest learning institutions and concert venues. In addition to programming, travel, lodging, and food were free for all selected students.